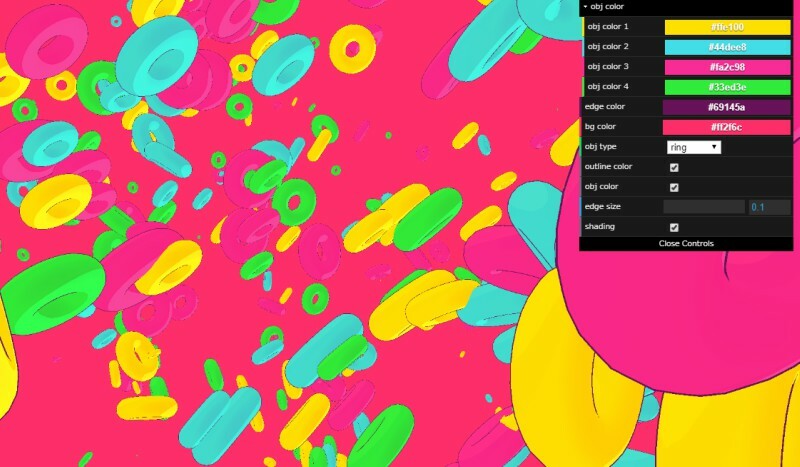 This Toon Shading demo features colorful, candy-colored objects floating around a canvas. It is created using ThreeJS and WebGL. The HTML5 demo can run on devices that can open a modern web browser. Play with the assets by changing their shape. You can select shapes like rings, triangles, boxes, and hexagons. You can mix and match up to four colors for the objects. There are also options for changing the background and line colors. Check out the cool experiment here.